Vientiane Airport's international terminal doubled to 2.3 million passengers per annum with the recent completion of an expansion project. Thailand is still Vientiane's largest market and also continues to experience some growth. Japanese firms Jalux and Toyota Tsusho have operated the terminal at Vientiane for approximately 20 years through their JV company Lao-Japan Airport Terminal Services. The Laotian government recently extended their contract for another 10 years. The airport also has a smaller domestic terminal, which is projected to handle nearly 500,000 passengers by 2023. Chengdu is currently served with three weekly services, Changsha with two weekly services, and Changzhou with only one weekly service. 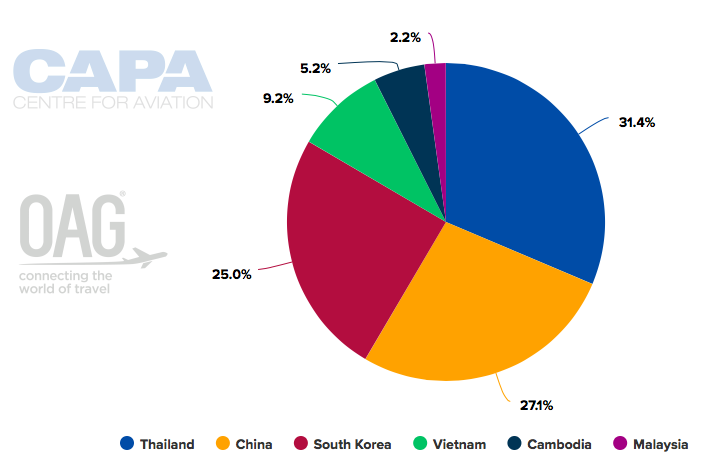 Lao Airlines is the only airline operating nonstop services in all three markets. All of Lao Airlines' China flights are now operated with A320s; it served Kunming with ATR 72s before taking delivery of its first A320 in 2011. 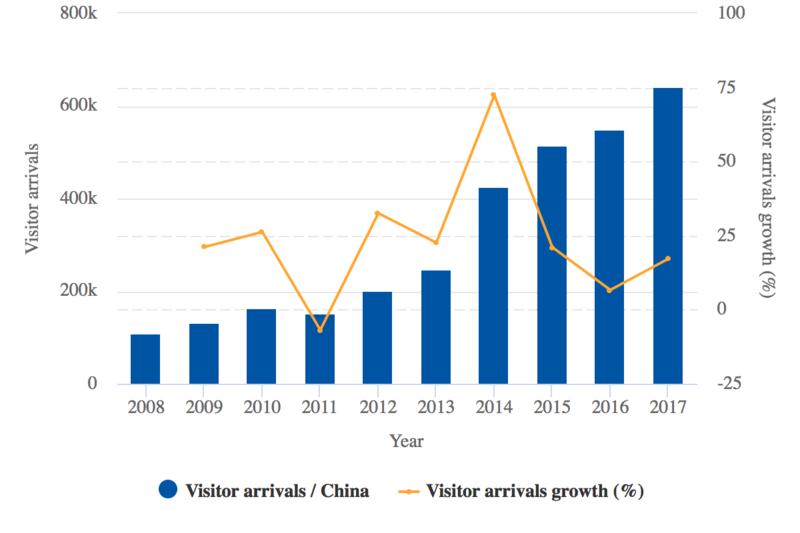 Luang Prabang currently has five routes to China but only 1,400 one-way weekly seats to China, compared to the nearly 7,000 seats from Vientiane. 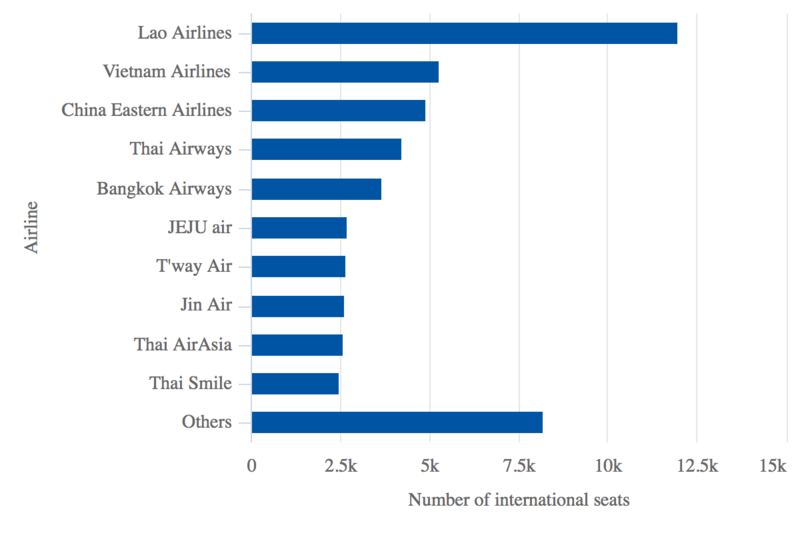 Overall, Luang Prabang currently has less than 14,000 international seats, compared to more than 50,000 at Vientiane. 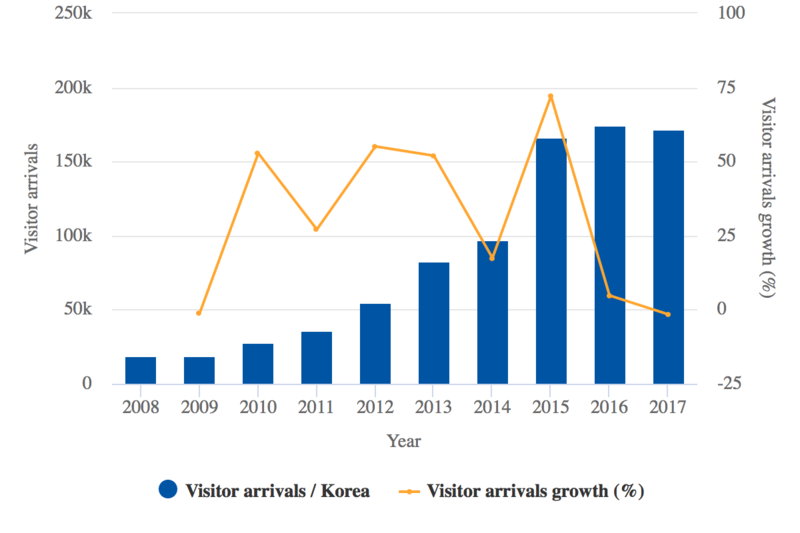 Luang Prabang is more seasonal, with international seat capacity increasing to 20,000 seats weekly in winter, but even in its peak season its capacity is still much smaller than Vientiane's.